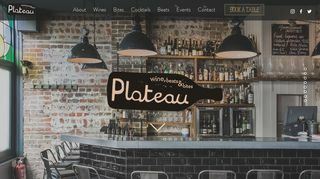 Had the pleasure of experiencing one of plateaus wine tasting sessions with my partner for our anniversary recently. Great if you fancy trying something different for date night. A small group of about 20 people per session which was nice. We had the chance to try different wines, nibble and meet new people from all walks of life whilst learning about where the wine comes from and how it’s made which was fab. We enjoyed a meal downstairs after, which we both loved. thoroughly recommend the curried carrot if it’s on the menu you when you go and trying the desert wines they have on offer it’s a Great experience with amazing food. Located in Brighton opposite the town hall.